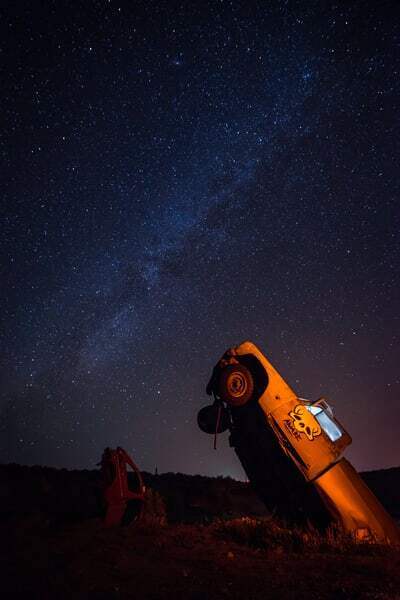 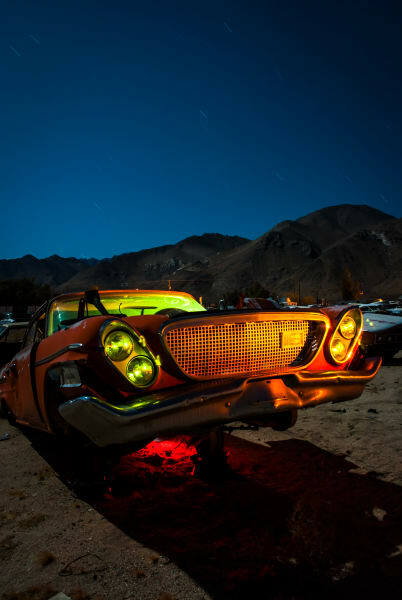 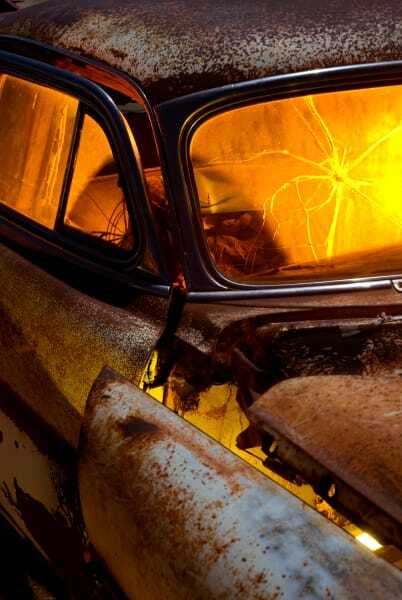 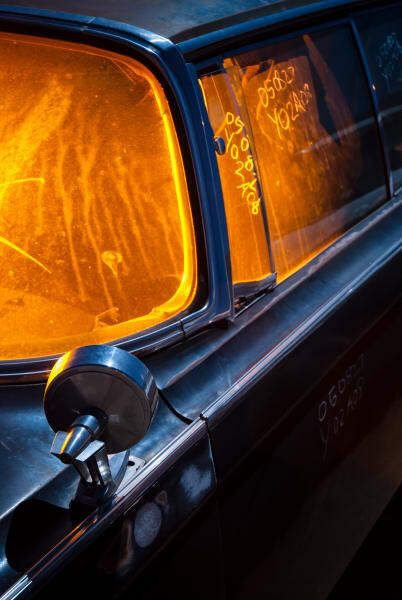 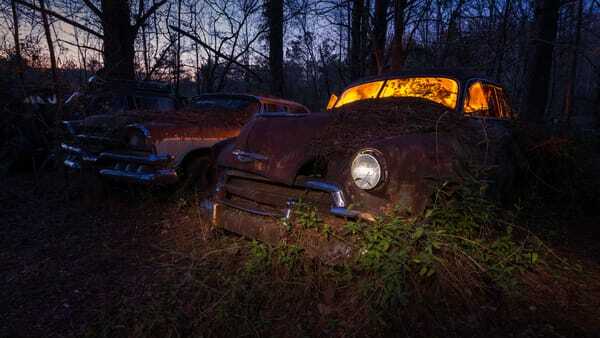 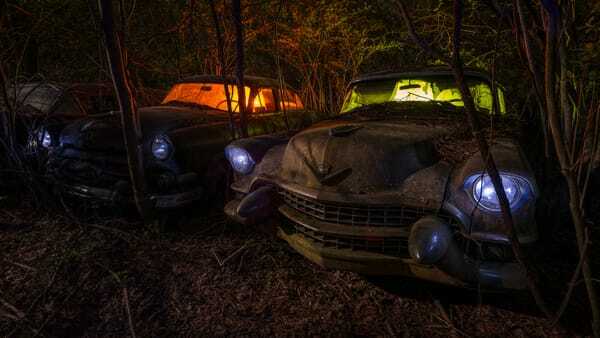 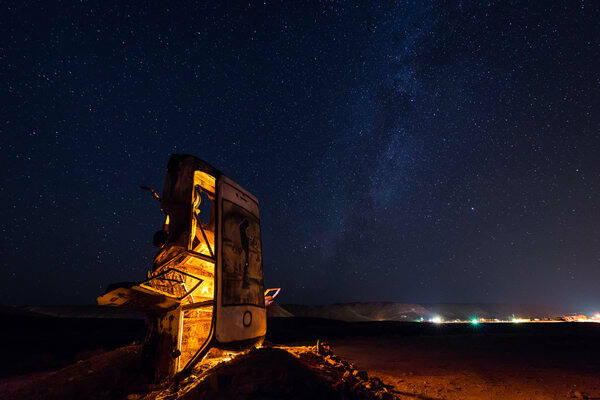 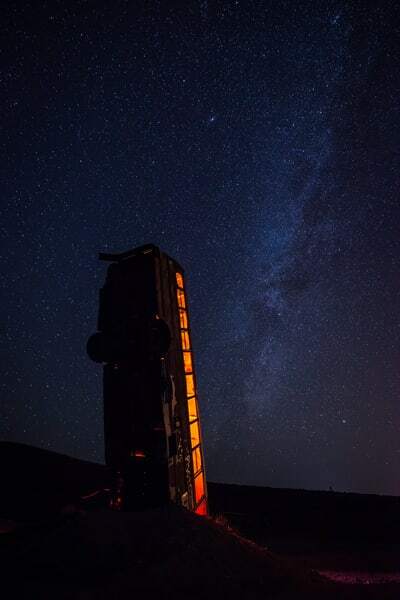 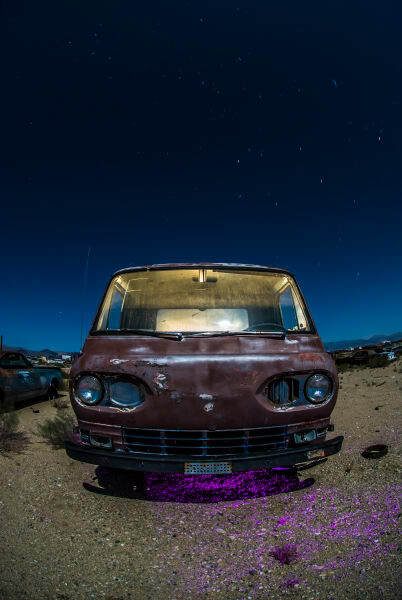 Sometimes I visit old rusty vehicles at night and paint them with a little coloured light. 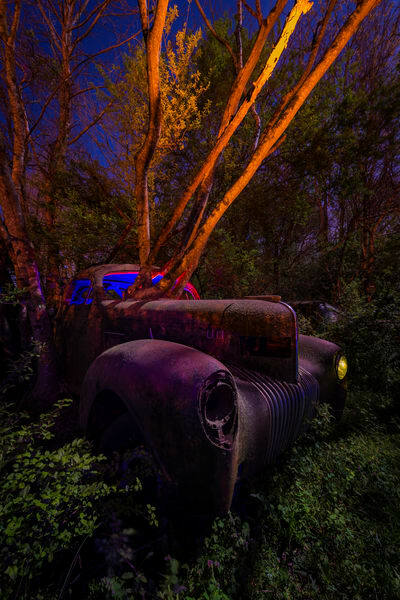 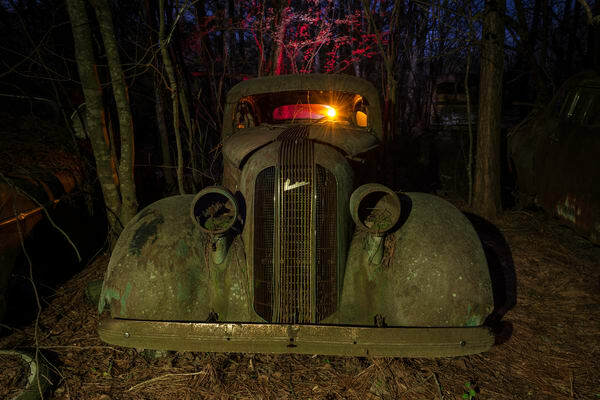 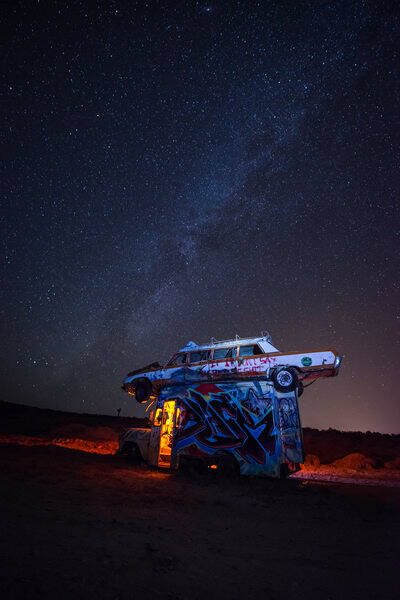 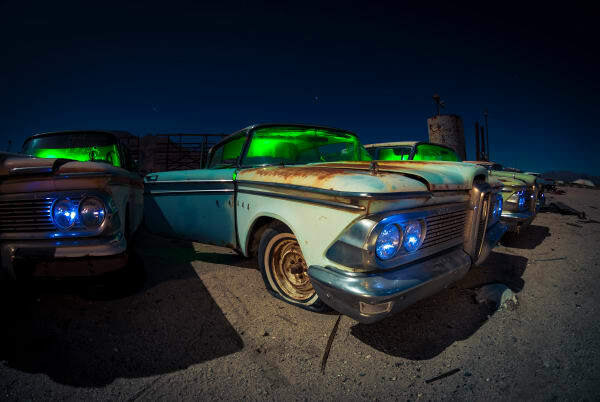 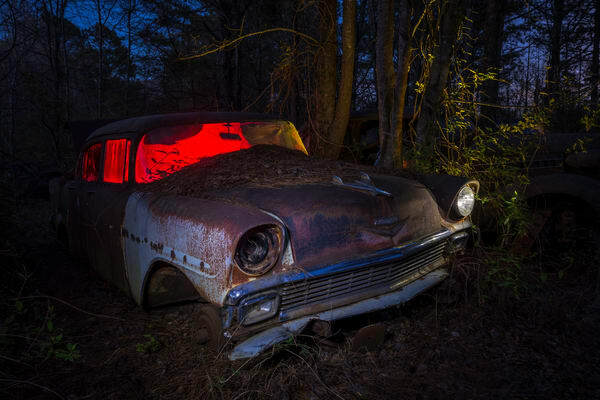 Using off camera speedlights, and various flashlights sometimes covered with an old colored theatre gel I paint these old cars, trucks, machines etc with light during a long exposure. 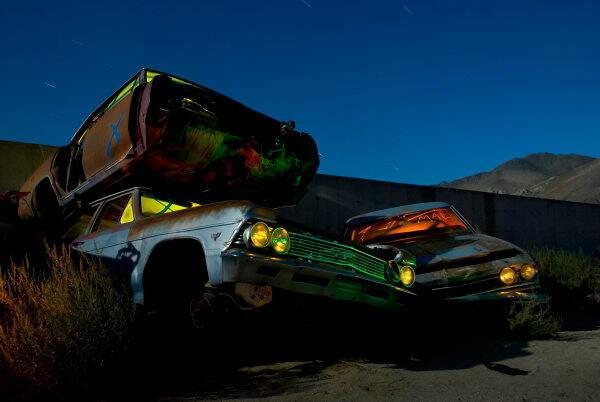 All the colouring is done in camera during the exposure, which can last anywhere from 30 seconds to 5 minutes.